The freezing weather was pretty brutal this Friday at the Davis Diamond during the opening day of the 2019 Aggie Classic; however, the Texas A&M softball team made it well worth the while. The Aggies run-ruled Cal Baptist in the fifth inning, en route to a 9-1 win. The cold weather didn’t slow the maroon and white down as they notched their first win of the season. After more than an hour and a half delay, the Aggies started off the first inning strong, putting two runs on the scoreboard after Galvez from CBU put up 1 in the top of the first. Blake-Ann Fritsch and Kelbi Fortenberry scored for A&M; runs brought in with the help of Baylee Klingler and Payton McBride. The rain started to drizzle over Davis Diamond and so did the quick outs in the second inning. The Aggies continued their great defense in the top of the third with their three-up, three-down performance. Sophomore Ashlynn Walls earned a hit and an RBI for the Aggies. Senior Aggie Riley Sartain hit a beautiful home run over left center field to bring the Aggies up 3-1 in the bottom of the third inning. The top of the fourth inning ended with a bang for the Aggies as junior Kelbi Fortenberry caught Thieroff’s hit to left-center field. Haley Lee singled out to left field in the bottom of the fourth and Taudrea Sinnie pinch ran and was able to steal second before scoring off of Walls’ single to left field. Walls kept up the aggression by then stealing second base on a wild pitch before being brought in by singles from Fritsch and Fortenberry. The crowd erupted as the Aggies successfully completed a double steal in the fifth. Fortenberry stole second while Fritsch stole third. After further hits from a fired-up Aggie Softball squad, Sinnie, Walls, Fritsch, Fortenberry, Sartain, and Klinger scored, bringing the Aggies up 9-1 by the top of the fifth. CBU struggled to score in the top of the fifth; rewarding Texas A&M with a fifth-inning run-rule win. 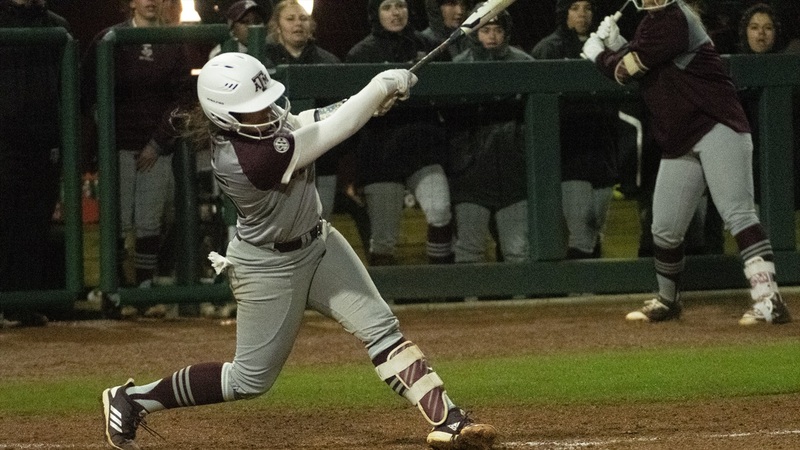 The 2019 A&M softball season started off with a bang as the Aggies notched their first win of the season on Friday night. Good start, but there are some serious issues with this year's team. (1) Where is Kendall Potts? I know it's cold; maybe Evans is holding her out. I don't think she pitched in the fall. Unless she repeats her sophomore season in Baylor, this team doesn't look to stand much of a chance in the SEC. (2) Why all the transfers? This was a team on the verge of a legitimate run to the WCWS. Now, it appears it's quickly become a rebuilding year. If you haven't yet, look at the ULL stats for Milligan and Hudek; they're not wasting any time establishing their credentials (both at the plate and on the base) in Lafayette. (3) Evans has not had a junk-yard-dog pitcher since the Gibson/Scarborough years. I wonder if she can attract the kind of pitcher TAMU needs to make regular runs to the WCWS. I'm certainly not casting aspersions on any of the kids who have pitched for TAMU over the last few years. There were some gutsy kids, I just think the program has to look at moving its pitching to the next level. I suspect TAMU will not put up with too many years of also-running given the money they have invested in the program. I understand the fact that kids transfer, but I don't think TAMU ever had it happen to the degree it happened this year. Something's up. I don't think Evans used Milligan to the team's best advantage last year. Maybe that played a part in Milligan's decision to transfer. As long as you're going to call me a naysayer, I may as well finish on this note. Time for Evans to go. She's a good coach; her record stands for itself, but there comes a time, and I think it's time at TAMU. I personally don't think TAMU will compete year in and year out for a spot in the WCWS until the program has a coach the likes of Mike White or Tim Walton. 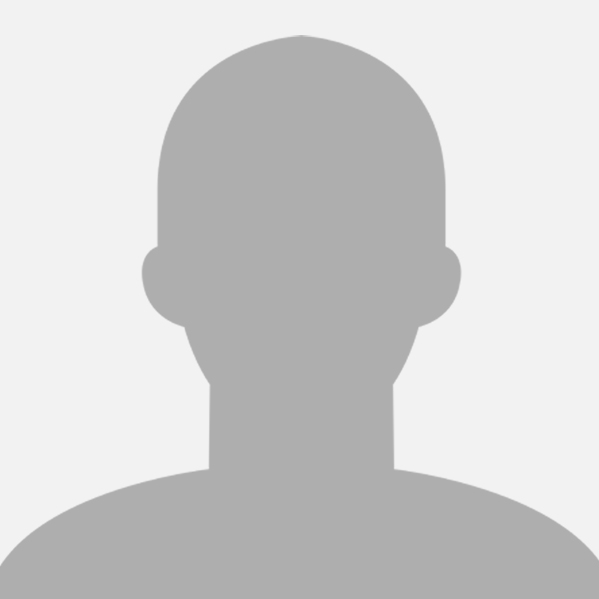 I'm an Aggie, a former high school softball coach. I love the program, I just think it's time for a change if we really want to realize the kind of softball success the university deserves. I hope TAMU is not in the embarrassing position of hosting the SEC Tournament this year, but not playing in it.